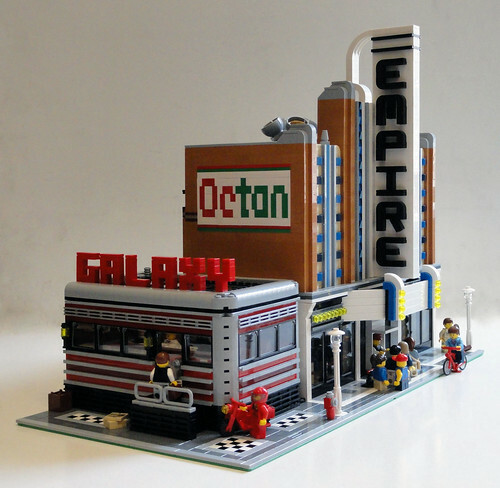 Brick Town Talk: Dinner and a Movie - LEGO Town, Architecture, Building Tips, Inspiration Ideas, and more! Now this is neat. The "Empire" and Octan logos are awesome and it just goes to show why dark orange is a such a fantastic color to build with. I'm getting some nice 50s vibes from this. Terrific work!